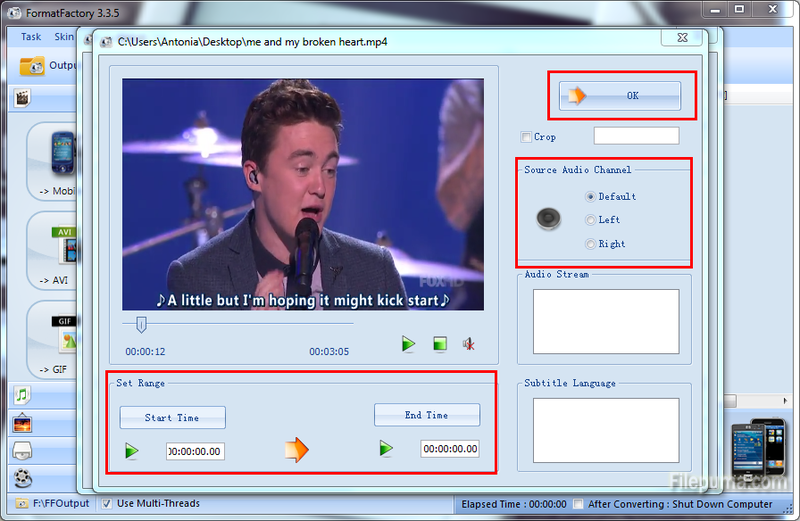 Format Factory is a multifunctional media converter. Procides functions below:All to MP4/3GP/AVI/WMV/FLV/SWF. All to MP3/WMA/AMR/OGG/AAC/WAV. All to JPG/BMP/PNG/TIF/ICO/GIF/TGA. Rip DVD to video file, Rip Music CD to audio file. MP4 files support iPod/iPhone/PSP/BlackBerry format. Supports RMVB,Watermark, AV Mux. 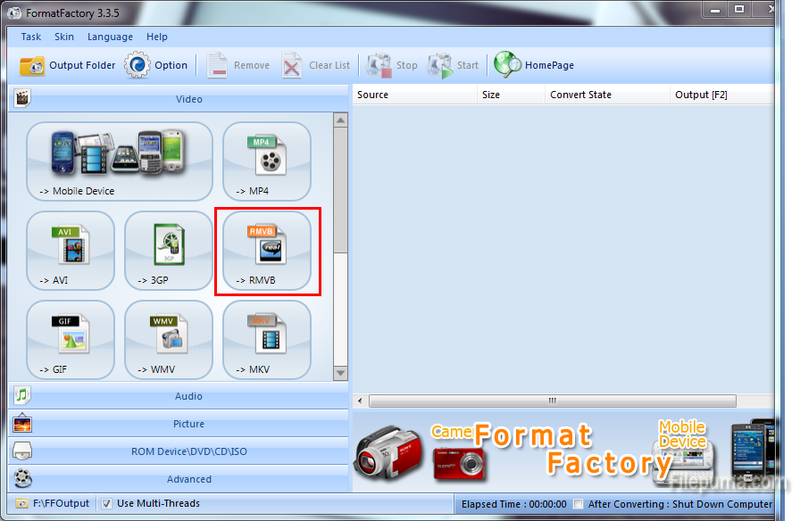 If you need to convert a MP4 to RMVB, using FormatFactory is convenient and user friendly. 1. Start FormatFactory. Click “RMVB” under the “Video” subheading. 2. Click “Add File.” Choose your MP4 file. 3. Click “Options” to modify the output options, including start and stop time, on the new file. Click “OK” to confirm your changes. 4. 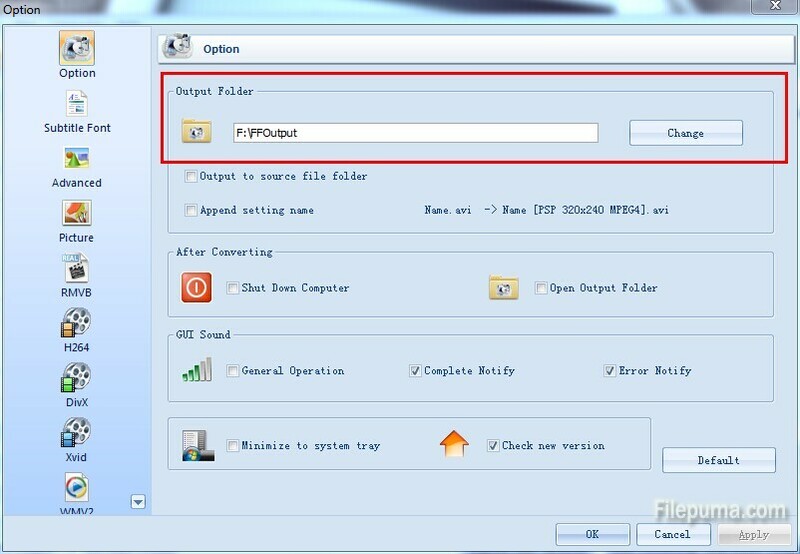 Click “Option” to set the output folder. 5. Click “Start” to start the conversion process. You could also convert the file as the format you like.